Today you announced your impending retirement from politics, from the position of Premier of Saskatchewan, and my heart broke a little. Born and raised here in Saskatchewan, I never dreamed of a leader like yourself. I never dreamed of what Saskatchewan, as a province, was capable of. For myself, your time as Premier was a little like the blind being blessed with sight, as I never had the smallest vision of what was possible. A vision that, thankfully, you did have. You see, I grew up in a very different Saskatchewan than the one that my children know. In my formative years, Saskatchewan was quite literally the joke of Western Canada. The gap, as Canada knew us as then. It was not until you took our amazing province’s reins that I dreamed that we could ever become anything but a have-not province. A sentiment I can only imagine was shared by the majority of my classmates, by the way they fled Saskatchewan in droves after completing their education. Your leadership changed that. With the last decade, I have developed the type of puffed chest pride of our province that can only be likened to that of my pride in my children. I have shouted to the world that right here, right now, Saskatchewan is THE best place in the world to live. THE best place in the world to raise my children. THE best place in the world to farm, ranch, and feed the people of this world. For that I thank you. Thank you for bringing the people of Saskatchewan together. Thank you for ensuring my children’s prosperity here. Thank you for making the difficult, unpopular decisions that are best for our province in the long run. Before you, I never knew that politicians could make decisions based on what is right, rather than what gains votes. For that I thank you. Thank you for making the RoughRiders win (ok, I may be getting a little carried away…). Thank you for teaching me the word “Jackwagon”. Thank you Premier Wall for pouring your heart and soul into Saskatchewan, because as you have proved, we are worth it. ← Our Latest Family Adventure – Jan Lake! I agree. This is very sad news. He has done an amazing job despite all the criticism over last few months. If anyone else was in charge like times like these we would be three times worse off then we are now. Thank you Mr Wall for one heck of a job well done. And thank you for not selling Saskatchewan off to the puppet masters like every other province and the Feds have. Sad news indeed to hear the breaking news. You were called the best Premier in Canada. We were very fortunate here in Saskatchewan to have you as our Premier. I’m confused. Did I misunderstand the part where he’s taxing the $h1t out of farmers when cattle prices are in the toilet, and crop yields are suffering from a record drought? Or have young farmers not yet realized that you’re about to hit an alltime economic low and he’s bailing out before you all put two and two together that he’s taking money out of your pockets that you don’t have…. I can definitely say that even in the lofty position he has held, Premier Wall has never spoken (or written) as dismissive or with such disdain as you just did. Keep your arrogance to yourself, I can count my pennies just fine, thank you. No…don’t mistake experience for arrogance. He’s dropped the farming community on its head and left it with his outstanding debts. thank you and I totally agree. if you can’t’ say anything nice then why say anything at all. You have got to be kidding!! Money you don’t have?? If you have been farming the last 10 years and don’t have any money, you definitely mismanaged things!! I suppose you expect this man to control the rain as well …sheesh!! Good job Brad Wall, you will be missed. The only thing that could lessen the blow of your resignation is your joining federal politics?!? Lord knows we could use some help there!! Thank you Mr. Wall for your years of service to this province and may God bless! hmmmmmm if you’ve been Premiere of this province for the last few years and don’t have any money you’ve definitely mismanaged things. By all means though…keep defending him and the ‘great job’ he did. Well now JK is your chance to step up to the plate and see if you can do a better job!! Cattle prices in the toilet? I helped my brother move cows this past week and he bragged about prices he got a couple of weeks ago for some calves. Maybe you should get your facts straight first. 1 person stepping up to proudly display the short-sighted and blinders of the negative haters that need to go where they think it is better. Considering the last several years of crop insurance claims and frost boils in roads that were never heard of before he has done one hell of a good job. The previous government backed out of commitments to farmers – and if they would have been in power this last several years we would of had to park our vehicles and go back to horses. The roads he was given and the new challenges he faced it is amazing how much road construction and repairs he has accomplished. I for one am very sorry to see him go. Thanks Mr. Wall for all you have done for this province. times are tough and yes it will get bad with this drought …now is when experienced leadership prevails and Sask needs good leadership. look. man. things are bad everywhere. our economy everywhere is in the tank. while i do think there was mismanagement at some level, the fact of the matter is we are doing a heck of a lot better than most other places in saskatchewan. And yet you want an NDP government who’s answer to everything is to increase taxes. You obviously are either so young you don’t remember the dismal place Saskatchewan was in prior to his leadership OR you don’t understand economics. While this budget wasn’t popular it was intended to shift future budgets off of royalties which long term only helps this province regardless of which party is in power. JJ yes you certainly are the confused one! this sentiment is shared by many , many Saskatchewan Citizens. Thank you Brad Wall for an amazing 10 years. The Saskatchewan Party has very big shoes to fill. Best wishes to you and your family in your future endeavors. I have watched Saskatchewan from the East side, I have seen the character of Premier Wall in the headlights, and headlines, I am so impressed, and I know as Manitobans, we only wish our previous Government would have been so brave, and had the fortitude of Premier Wall. I am disappointed he will not be in the Premier’s chair longer to help forge partnerships with his friends to the East! Thank you Mr Premier! God bless you as you chose a new path with your family! You folks had a Brad Wall over there. He sold your Manitoba telephone company and forced unpaid days off on thousands of workers. JJ You seem like a very angry, impossible to please kind of person. Is there anyone in Canada about whom you have a positive thing to say? So I’m not going to be so blunt. JJ, your obviously NDP. Your NDP comrades literally destroyed the future prospects of this province for decades. Wall came in and showed the world that the crap the NDP spewed was just that – crap. I will fight tooth-and-nail to never see your party back in the governing office of this province so that my children have an opportunity to prosper and not be part of the NDP’s pseudo-communistic experience. Premier Wall, I’m 79, one of the ones who scrambled out of Saskatchewan before your time. I have lived in several provinces and the Yukon. I’ve lived the last 34 years in Thompson MB and watched unbelievable progress and pride in Saskatchewan grow over the past 10 years. Now, PLEASE enter Federal politics as a Conservative: we need you for next PM. You would be a slam dunk winner: the rest of Canada loves you too!! I am from Manitoba but I certainly back Brad Wall 200%! He has done a magnificent job in Saskatchewan. Would love it totally if he would run in the Federal Politics too. For the Conseratives as PM. We just have to get rid of this jerk they call pm now. I have said for the longest time now, you would be an excellent PM. You are the only Priemier other than Ralph Kline, that stuck to their word and looked after what the people wanted first! Thank you so much Brad Wall. Anyway, I do wish you all the best in your new endeavors. You said what I was feeling today. When I heard the news report my stomach dropped. I thought right away what will happen to the progress we have made as a province. I hope his replacement will have the same drive and ambition to take this province even further. Thank you Brad Wall for your service. I agree totally that he has did over all a great job and been a great asset to our province! From fighting for our coal industry to standing up for us again our new naïve Prime Minister he’s been there for us and did a pretty damn fine job. That being said I also feel him retiring now when his term isn’t even up isn’t a coincidence! We ran into one of the worst years we have ever had this year since I started ranching! Out R.M. Had been declared a disaster what ever that may mean! In tuff times it’s disheartening and maddening to think your leadership would bail out on you! The province is heading into some really hard years now after investing these years its hard to understand why he would quite on us now ! I’m sure we will pull through though so thanks for all you have done and have a great retirement! I am with you 100%. Took the words right out of my mouth. Sad day indeed. I too feel that it’s too bad you’re retiring. I feel you have done a great job and you have more to offer us if you would stay, but I guess it is your decision. I agree, I grew up here and was proud of my heritage, even moving to Alberta and coming back in the late 80s. I took a lot of harassment for being from Saskatchewan. But Brad changed all that, I was in shock when I heard the news, and will be for some time. Those shoes will never be filled! Not everyone in Saskatchewan is a Brad Wall lover. We’ll all realize that as we spend decades paying off his massive debt legacy. Though I do salute him for representing our province well on the national and international stages. honestly, which province in this country isnt in debt? and whose got the least amount of debt? Massive debt which is about the same per capita and debt to gdp as BC. …. and 1/3 to 1/2 of that of every province to the east of us. By every measure, Saskatchewan is one of the best positioned provinces in Canada and I’ll take saskatchewans fiscal “problems” over that of the rest of Canada any day. Sad day for Saskatchewan, good job Brad and I totally agree with this lady , we went from a nothing Province, to one all should be very proud of. Yes there are people who feel they need more but hang on and see what the next man does to you! Hell of a job Brad no go east and finish the job. Thank you for bringing Saskatchewan out of the failing stagnant slump it was in for far too long. My friends and relatives in other provinces have said how much they admire your accomplishment in building our great province to the best it has ever been. I know you have had some tough decisions to make since the slump in the oil industry. I don’t like all of them but I also don’t blame you for it. My husband and I had to leave Saskatchewan many years ago due to lack of employment. I fear for the west without Mr. Wall going up against the Ottawa Liberals in defense of all westerners. We in Alberta need a champion and I felt Mr. Wall defended us as well. Thank you and best wishes for your future Mr. Wall. As a born and bred Albertan, I can speak to the fact that the direction of population movement has completely reversed. In my childhood there always tons of people from Saskatchewan everywhere you go. Today, they are going home, and ferociously proud of it. I personally know 3 families that have moved back to SAskatchewan, and most of the others that haven’t yet, want to. It’s crazy how the tables have turned. Could not have said it better! I was deeply disappointed to hear the news of the premier calling it quits. Those of us who know and understand business can really appreciate the work done by the Premier. I just wished that the late great Ralph Klein could have served with Premier Wall. Now could you imagine how they would have had fun booting the asses of these idiots running the show in Ottawa. Thanks Brad I will certainly miss your standing up for this great Province. I just hope we don’t go back to the regressive politics of the NDP. What I Remeber Is a premier selling off crown assets to make his bottom line grow. A bank account that used to have millions in surplus and was pissed away making the rich richer. What I Remeber is a premier that cut funding to education so bad it threw Saskatchewan into the dark ages. A premier that cut jobs in the public service that were at the bottom instead of the top. Reducing living wages for thousands so that a handful of friends and business men could make more money. A premier that supported a flawed trickle down theory that only lined the pockets of him and his friends. For shame Brad Wall. I hope you end up in the crooked nursing home I saw on sixty minutes… Run by your supporters and staffed by the children left behind by your education policies. And after record increases the past decade too. The reality is Saskatchewan invests more per student in education today than most other provinces. But hey, if the left screams their alternative facs long enough and loud enough they might get enough people to believe. The unions are certainly burning through dues buying commercials. Fraser Institute is a well known right wing institute which no well respected, educated sociologist uses because their findings are so biased. Thank you Mr wall. Your last budget was awful to a lot of people myself for one but discussing this with my family I said we have no other choice but to vote for you again. God help us all if ndp get in. Look what they have done to other provinces. Plus of course this province before you. Maybe you would consider federal government. HE WILL BE MISSED. He did a great job. Don’t be confused by. JJ. MORE. NDP. CRAP. I always have been a big fan of yours, thank you for everthing you’ve done for us. So much appreciated…. Colin Dykhuizen —Do you remember who was in power when 53 rural hospitals and the Plains Hospital were closed?? Also our highways were were nothing but goat trails. You had better do some thinking and remembering before you rant on. Today is a sad day for our province as we lose a leader who believe so strongly in what are province and our people believe what we can be when we put our heart and soul into making this province the greatest province in Canada. Premier wall had a vision for this province that we have not reached our true potential and likely we still have not but he led the way and opened our eyes changed her attitude and now it’s his time two move forward in A New Path but we must thank him for what he is done for us to show us that we have great potential in this province. We must wish him the best for him and his family into the future. It we must thank him for the great service he is done for this province. Mr. Wall, have you ever eaten a steak that is so tasty you don’t want to be finished it? That’s the feeling I got when I heard you say you would be retiring. A totally selfish feeling like, after this, what? What will happen now? Will this be the end of the progress in Saskatchewan? Adrienne has written a great credit to you and your time in Givernment in Saskatchewan. You are the best leader Saskatchewan has ever known. You deserve your retirement…but it’s hard to let you go…to have to be finished with you. May the Good Lord bless and keep you and your family in the days to come. I grew up in Sask but have been living and working in Alberta since 1990. I now live in a socialist state under Notley and can assure you that you do not want the NDP back in charge. Alberta is rapidly going down the toilet with NDP policies, I am currently back in northern Sask looking at property and now very disappointed to hear of Brad Wall’s resignation. Absolutely! Brad Wall will definitely be tough to replace. This rollercoaster ride of political unknown was just proven by Brad and the people of this wonderful province that we do have all of the best qualities to offer the world. I really hope that the future leaders will pickup where Brad left off and run our province up to the top,keeping us at the top. So many people can’t wait to see leaders step away and those people are going to be shocked by the resignation of one of the best leaders this province ever had. Interesting comments some with lots of praise, some with none, that is what makes this province what it is today. 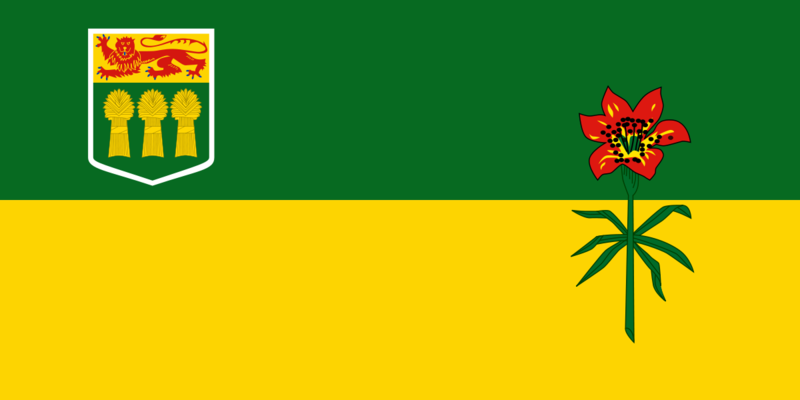 We can all hold our heads up a little higher thanks to a leading force that has taken this our province we call home to a new level, sure their are some who will say we are all heading for the toilet, and some will say we have stepped up a couple of rungs on the ladder and that is what this our province is all about. People coming together as one to share their opinion’s and ideas weather positive or negative is what make a province stronger, all I can say and will say on this matter is; Mr. Wall you will be missed by many, for all the achievements that you have done, taking the reins of party that know one had heard of and going toe to toe with other premiers of other provinces past and new prime ministers defending what we call home Saskatchewan. I hope that maybe one day I will hear and will see you that you have thrown your hat into your next challenge taking what is left of this country we all Canada and stream line it like you have done for our province that we as home, as our next prime minister, if that happens only you and the man upstairs have that answer, but this ol ploughboy will vote for you. Good-luck to you Mr. Wall in which road you travel, politically or just fad into the sunset, as my favorite cowboy hero of days gone by use to say at the end of his shows happy trails to you. Yes I am sure there will be some that will disagree with my statement, but it is my nickel on this matter. Thank you Adrienne, for sharing your letter of gratitude to Brad Wall; you poignantly expressed the thoughts and opinions that many of us share with you. Don’t take too much offence to JJ Voss comments! He and I have heated debates over politics all the time. I am one of the homegrown Saskatchewan people who fled Saskatchewan during the NDP reign of terror now living in Alberta. The thing about NDP supporters is they have their own sense of reality ( sometimes likened to fiction or half truths) and they will argue their points with out considering or accepting the errors of their own party! They can be extremely argumentative and in some cases ( Brian Sklar), make personal attacks on opposition to make themselves feel superior. Much like a school yard bully. I am not a loyal supporter of any party, I am a loyal supporter of good governance, which sometimes means making the hard and unpopular decisions to get the province or country to a better place for everyone. In my opinion Brad Wall and the Saskatchewan party are hitting it out of the park. They may have to make hard decisions now to get to a better future but nobody could have seen the collapse of the energy sector for this long of a span. In Alberta, after many years of PC rule ( turbulent after Ralph Klein left I might add) the people felt need for change as did I. Political comfortablity set in. As MANY Albertans will say, the NDP was not the change we had in mind! I now see here what I fled so many years ago in Saskatchewan. The NDP like to through money at problems even if they don’t have it and eventually someone( likely my children and/or grandchildren) will have to pay. Probably in the form of higher taxes and lost services which will be forced on the next government to implement and I’m sure the NDP will ridicule them for this(” look what THEY did”) and on and on the game of politics goes. It is quite simply, create an environment for economic investment so that large and small businesses invest in the area, this will create jobs which create tax dollars to spend on necessities for the area. The more people working the more tax dollars their are ( with a lower rate of tax ) and the happier everyone is. It’s only when specific groups get greedy, ie unions and other groups who want special recognition that the equation won’t add up, which causes the kaos in society. Whoever takes over for Mr Wall has big shoes to fill and hopefully can keep Saskatchewan on the right track. Proud to Be From Saskatchewan! I totally agree. He made Saskatchewan “THE” province to live in and to be proud of. So sad to see him retire – he is Saskatchewan. Wishing him a happy retirement as he certainly earned it. Thank you for all you have done for us Brad Wall. Life is about change , & some changes had to be made . Good luck mr. Wall and lord help us if we end up like Alberta ! I was born and raised in eastern Canada, moved to Alberta at a very young age. I have followed Brad Wall just over the past few years and told many people along the way ‘this is the guy we need running the country’. Not trying to sound selfish but I was very disappointed that he didn’t enter the recent leadership race for the Conservative party, but I am sure that he didn’t for personal reasons. That I can respect. After reading a bunch of the comments from people living in Saskatchewan, it made me realize what he has done as the Premier of your province. As an outside guy looking in, I just want to say that I think Brad Wall is an amazing politician and would put our country back in the right direction as the Prime Minister of Canada. I want to wish Brad Wall and his family, all the best in his retirement. Very proud to be born and raised in Saskatchewan. I’m so happy the province is doing well. I hope they pick a good new leader to follow in Brad’s footsteps! Great job Premiere Wall at putting Saskatchewan on the map and made us all proud to call this Home. I hope some of the Nay Sayers above move to Alberta as they have their kind of Government and I hear most of the Albertans are not very happy with her leadership. I hope that our new Premier has the love and passion that you have for Saskatchewan. If you decide to get back into politics we need you in Ottawa.